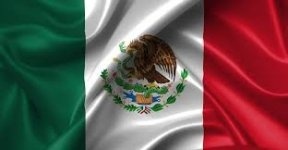 The Mexican presidential election will be held on July 1st. The three main contestants for this election are: the Institutional Revolutionary Party’s candidate Jose Antonio Meade; the National Action Party’s candidate Ricardo Anaya; and the National Regeneration Movement’s candidate Andres Manuel Lopez Obrador. Of the three candidates, Obrador seems to be commanding a lead of 13.6 percent compared to the other candidates. This puts him as the front runner on the presidential election. While this all could change tomorrow, it is doubtful. The former mayor of Mexico City, Obrador is a populist leftist politician whose party the National Regeneration Movement, also called MORENA, is making inroads into the political and social climate of the country. Many Mexicans are sick of the drug war against the cartels, the killings that go with it, the blatant corruption endemic within the system, and they want someone whom they feel will clean it up. Obrador has a strong track record for what he had done in Mexico City. He initiated social programs to help single mothers, impoverished families, and the physically and mentally challenged. He helped to modernize the city’s decaying infrastructure, and he built new roads and highways to help alleviate the traffic that had been choking Mexico City for years. During his mayoral administration, he had also completely renovated the historic downtown section to boost tourism for Mexico City’s 16th and 17th centuries buildings and monuments. More than that, he has acquired a reputation for being a tough, honest and progressive official (although not without controversy. One example was using staff from the opposition Institutional Revolutionary Party for his presidential campaign in 2005). It is this reputation, and the fact that tens of millions of Mexicans are sick of the corruption and high crime rates the country has endured that may compel Mexicans to vote for a politically leftist candidate. This may be a bad omen for the United States because Obrador has vowed to do all he can to prevent the United States from building a border wall, and also he might be as keen to tear up the North American Free Trade Agreement (NAFTA) just as much as U.S. President Donald Trump is threatening to do. Could he also take Mexico as a whole into a leftist direction and alienate many millions of Mexicans who want a strong and close relationship with the United States? It is a real possibility. There is real possibility that a major clash between Obrador and Trump could result in extreme conflict between Mexico and the United States that has not been seen in decades. It could just as easily be a disaster since we have no idea what direction Obrador might take Mexico as a whole, and if it will cause greater instability than Mexico is dealing with now.